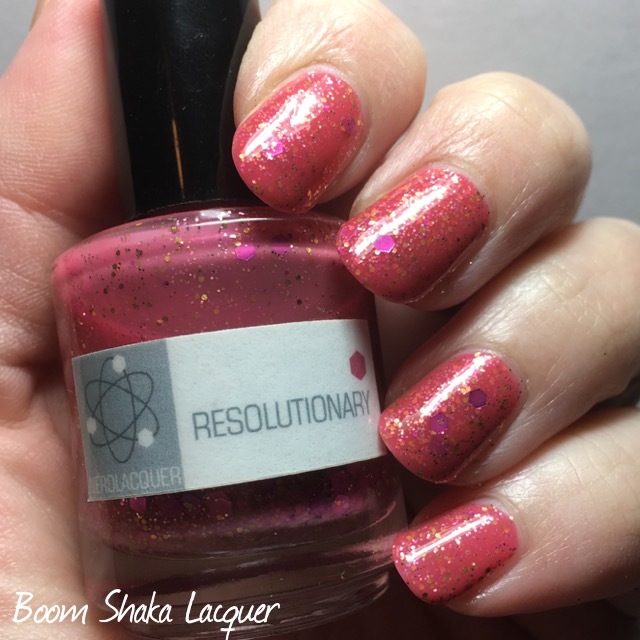 Wednesdays We Wear Pink – Featuring Digital Nails! Hello my dearest readers! I hope that today finds you moving closer and closer to Spring. Are you waiting with bated breath for the cold to end like I am? I feel more certain than ever that it’s just around the corner. Already temps are rising here in the South. 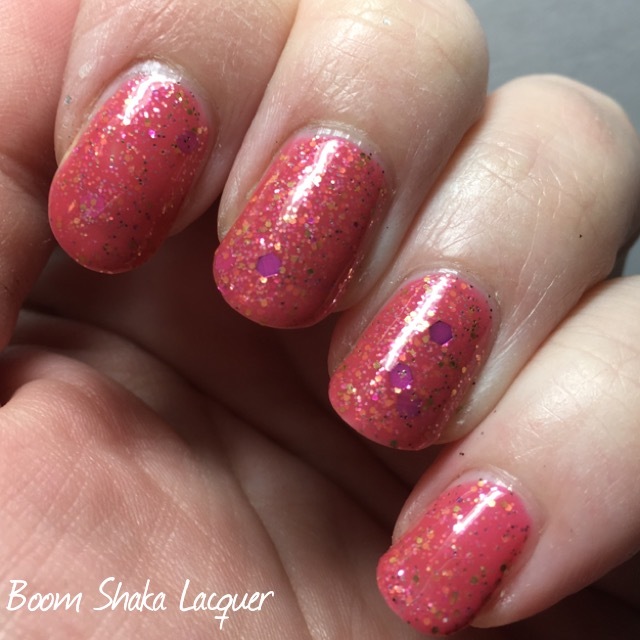 There are some interesting things a-brewing here at Boom Shaka Lacquer, including a unique blog collaboration with some of the other amazing bloggers out there. I can’t wait to share! 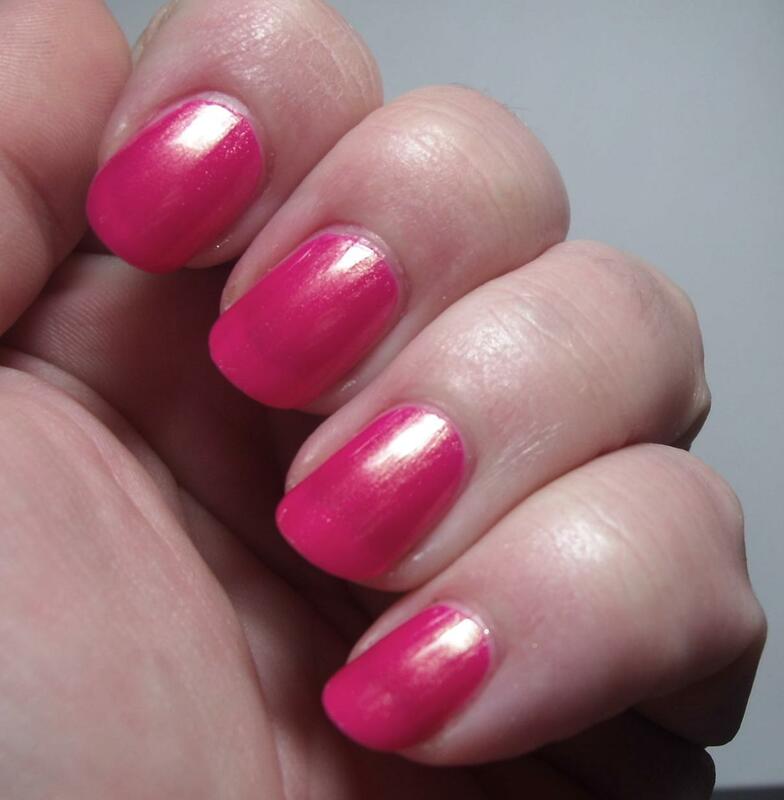 Today I’m bringing you a gorgeous polish for our Wednesdays We Wear Pink post. 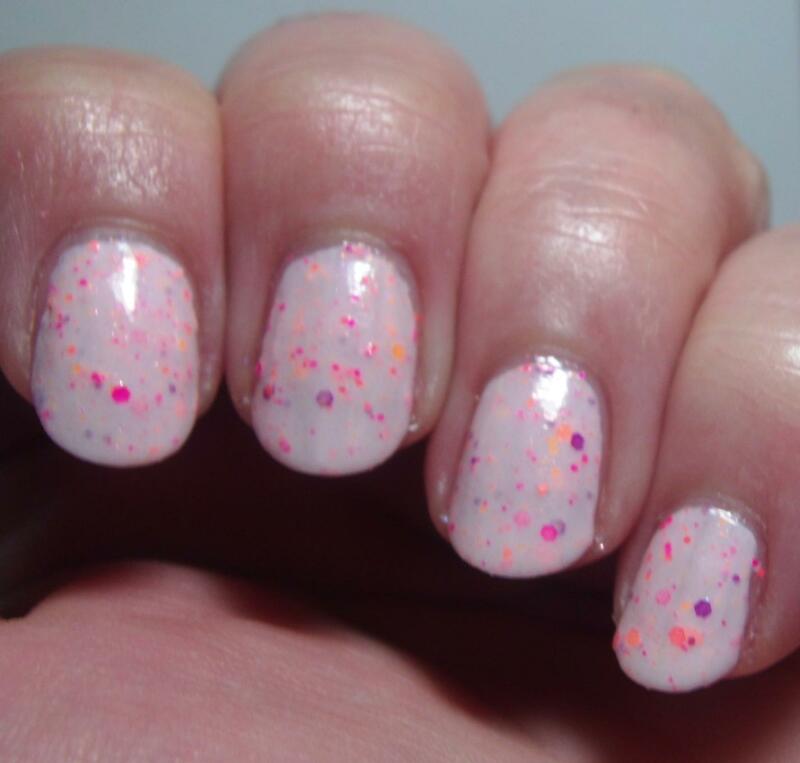 You ready for pretty polish? Ok great, this should definitely fit the bill! Isn’t it gorgeous? I’m in love with this one. I’ll be honest I’ve had this one awhile, but, the holidays and the move got in the way of me posting about it! 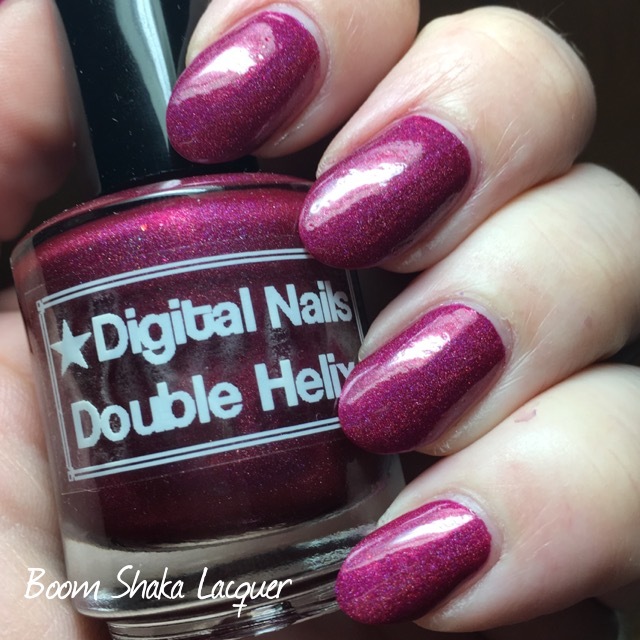 Double Helix is a deep rose color linear holographic polish with rose microflakies. It’s deep and complex and absolutely beautiful. I don’t often wear “just” a single color, but I wore this one alone for a week and I got so many compliments! This is part of her Scientist Pun collection and is based on Rosalind Franklin whose work was hijacked by other scientists who are credited with discovering the double helix shape of DNA. Definitely not cool! But this polish recognizes her accomplishments and honors her for her instrumental discoveries! 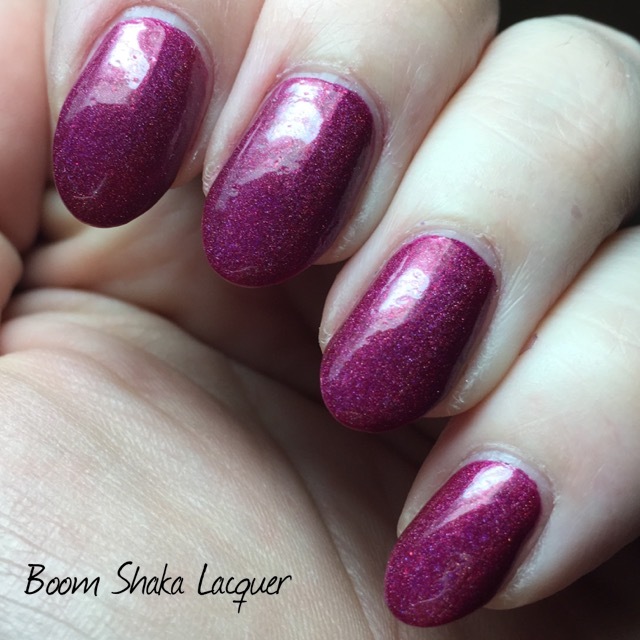 The formula for this polish was absolutely fantastic. It went on like butter as they say. Streaks, drags, balding? Not here I say! I did use two coats, but honestly I probably could have gotten away with one. The only thing I will caution against is that as with ALL highly-pigmented polishes (particularly deep pinks, reds, and blues) careful application paired with well-moisturized cuticles will help you with clean up. These kinds of polishes do like to glom onto cuticles and can be a little trying to clean up if you have any dryness at all. 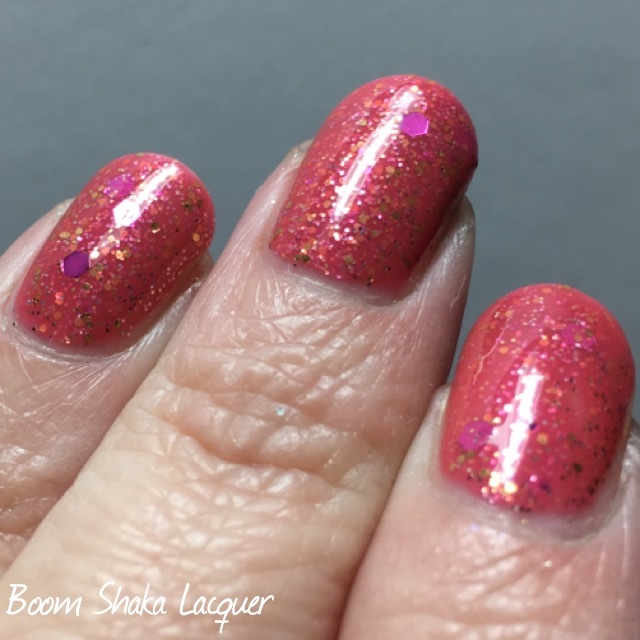 Pictures show two coats plus my tried and true Digital Nails – Ain’t Nobody Got Time for That quick drying topcoat (I love this stuff!). 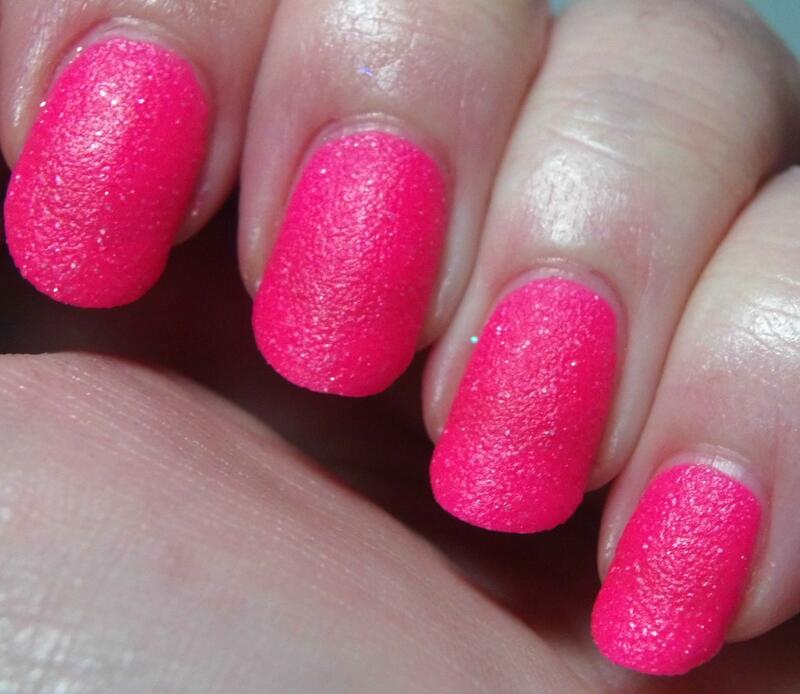 This polish is not only gorgeous but it’s available in the Digital Nails shop right now! If you don’t have this one yet, you definitely need it! Pertinent links below! So did ya miss me, wonderful readers? Because I have missed you. 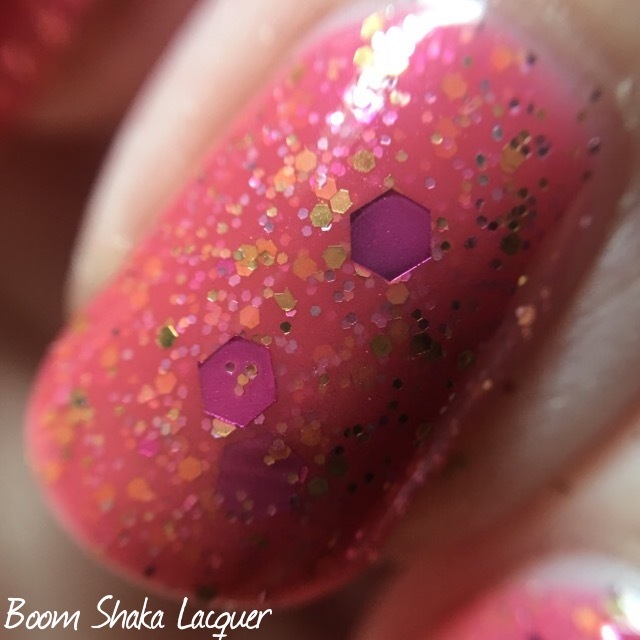 Stay tuned for more Boom Shaka Lacquer and that blogger collaboration series that I teased about earlier! Well it’s been awhile since I had a Wednesday We Wear Pink post. However, thanks to Alchemy Lacquers and some end of summer clinging on my part I have some perfect polishes to showcase today! No suspense…just pretty polish. And, GO! Yes yes yes yes! I am a huge fan of AL shimmer crelly polishes. So when I saw this delightful bright pink one I was almost beside myself with happiness. 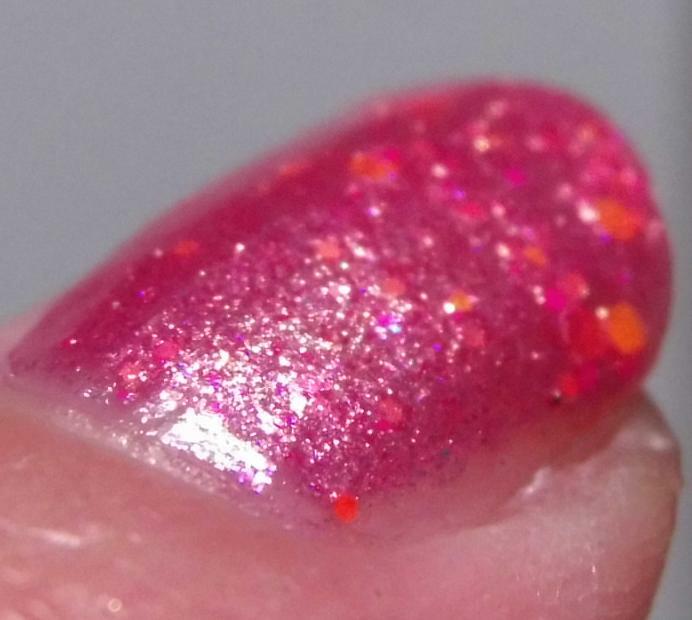 This is a baby pink shimmer crelly with neon orange, purple, and pink glitters interspersed throughout. Love everything about it! 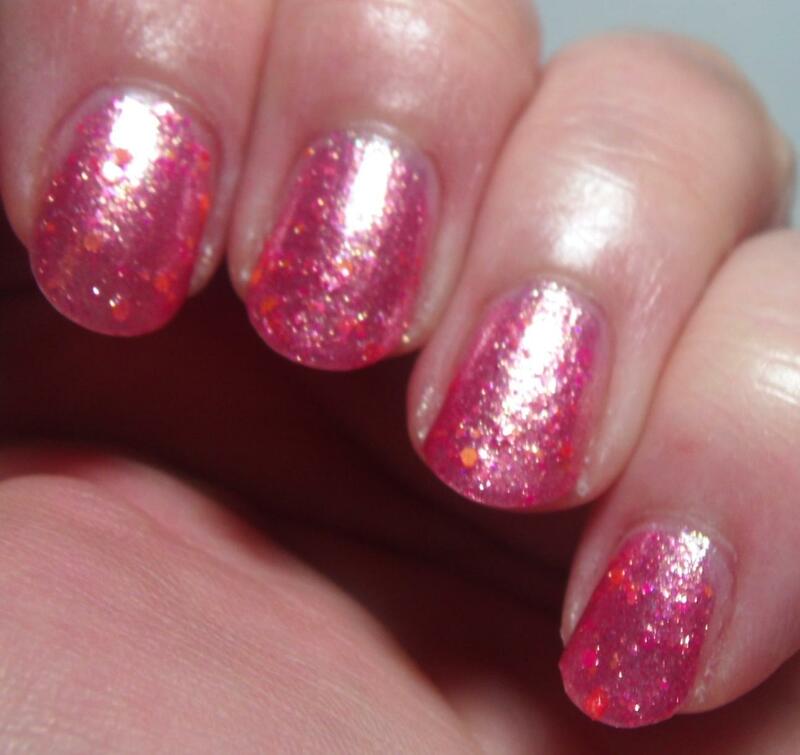 I love the small gauge glitters, I love the shimmer, I love crelly-based glitter. I swear it’s like Rebecca makes these just for me, at least I like to pretend she does, but probably not…just stop why do you have to burst my bubble??!! All the love. The formula on this is fantastic. 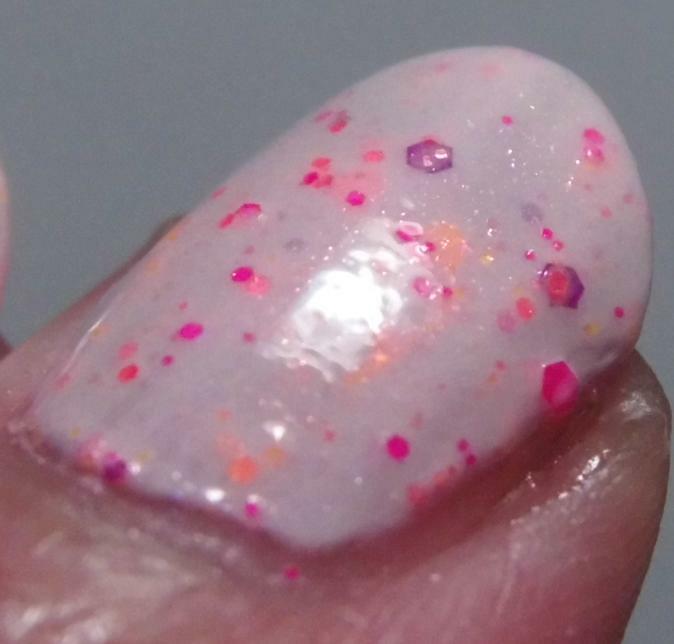 Opaque in two coats, maintains the squishy feel of a crelly polish, and the glitter is interspersed perfectly. I did not have to fish, swish, or dab a bit for this polish. How you see it is how it applied through normal polish application steps. You can see the shimmer here! Loving it! Pictures show two coats plus topcoat. Another perfect addition to the Gilded line of polishes. 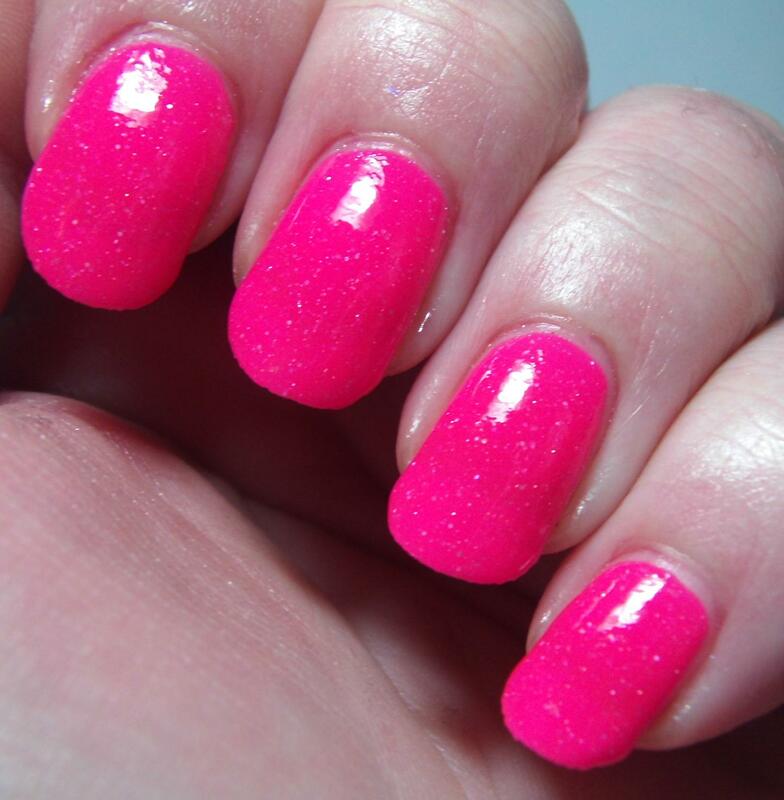 This is a gilded neon pink with neon pink and orange glitters. SO.MUCH.SPARKLE! Seriously this is like a beacon of sparklacity (not a word, totally don’t care). The Gilded polishes have a lot going on in them…glitter and sparkle and flakies and all the good wonderful stuff that we love in polish. That does mean that at times it may be a bit thicker than some other polishes. This doesn’t affect their ease of use in my opinion. I still find them highly manageable and easy to work with. I never have to fish for goodies either. 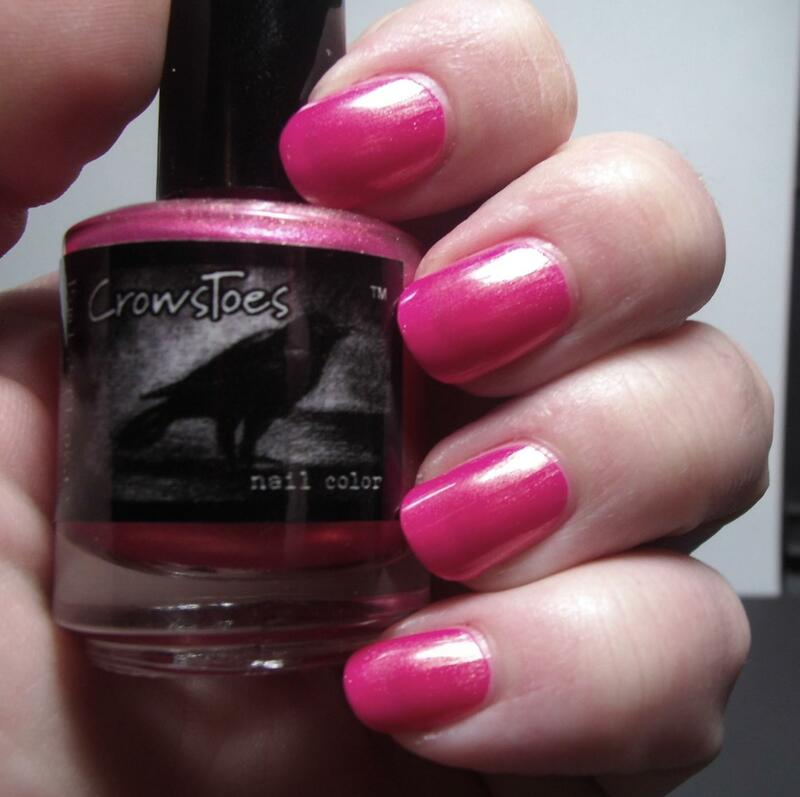 This polish was opaque in two coats. Pictures show two coats plus topcoat. There you have it a quick and breezy pink post for Wednesday! As usual I will include all the necessary links below! 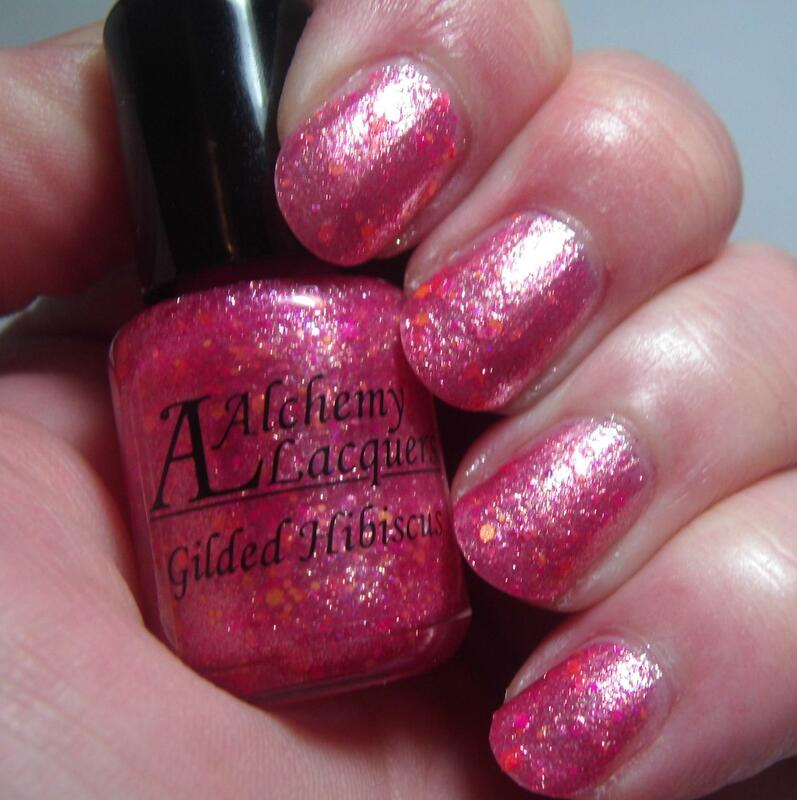 I’m just gonna put this out there…Alchemy Lacquers’ Two Year Anniversary is coming up and she is planning something EPIC so you will definitely want to follow her. Go do it! Go do it now!